Now that the Maine scallop season is here, we’re enjoying our fill of these luscious bi-valves. Fresh scallops will keep for several days in the refrigerator, and they freeze extremely well. We like to package and freeze them in meal-size portions; 4 ounces for a single serving, 8 ounces for two people, and one pound yielding four servings. To defrost, simply remove the package from the freezer to the refrigerator the day before use. In a pinch, I will often defrost a package in warm water until soft. Scallops can be ivory, cream, or even slightly orange or gray in color, with a fresh, sweet smell. Scallops labeled as “dayboat,” “dive,” or “diver” indicate harvest in state waters, and therefore should only be available fresh during the state scallop season, typically December into April. Old-time Maine cookbooks have many recipes for scallop preparation: Scallop Saute Montauk, Scallop Casserole, Downeast Scallops (made with canned tomato soup and green olives), Scallop Stew and Scallop Fritters. From the wealth of recipes, it’s clear that fishing has been an established part of Maine’s heritage and an important food source for over 400 years. 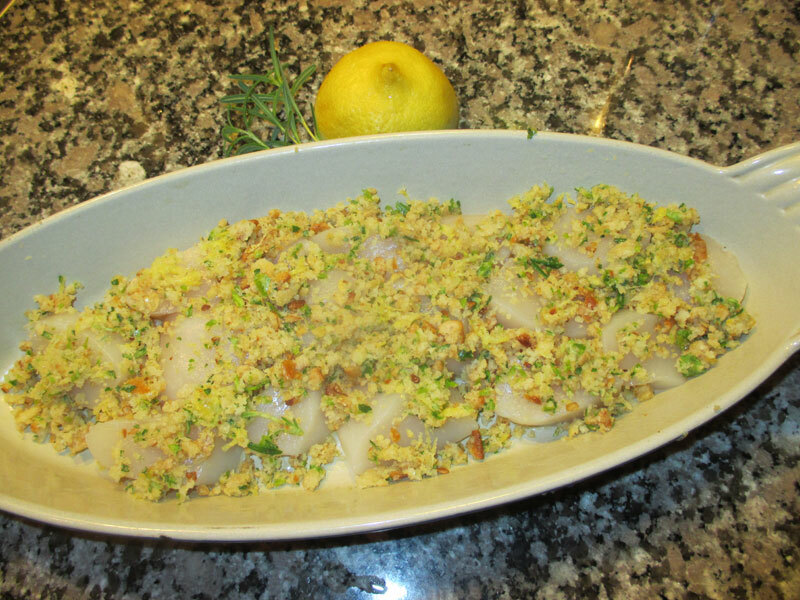 The recipe for Lemon Baked Maine Sea Scallops is a classic: simple, low in fat, and delicious. The lemon juice and zest provide a nice punch of acidity to cut the richness of the scallops, the wine poaches them perfectly, and the butter and high baking temperature provide a golden crust. To complete your meal, serve with a green vegetable like steamed broccoli or sauted greens, roasted butternut squash, and applesauce. Good Maine food never goes out of style. This recipe is adapted from a preparation by Pilot’s Grill, one of Bangor’s favorite old-time restaurants. Preheat the oven to 425 degrees. Grease a baking dish that can comfortably hold the scallops. Using the fine side of the grater, grate the lemon zest, setting it aside. Cut the lemon in half and squeeze the juice. 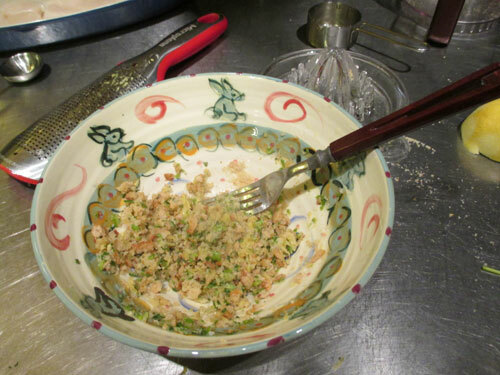 In a small bowl, mix together the breadcrumbs, lemon juice, lemon zest, melted butter and fresh herbs. Lay the scallops in the baking dish and sprinkle with sea salt and fresh pepper. Sprinkle the crumb mixture evenly over the top of the scallops. Pour just enough white wine in the pan to cover the bottom. 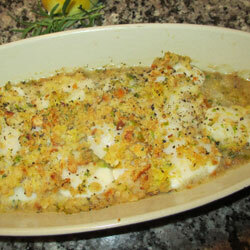 Bake the scallops in the oven until the scallops just turn opaque, about 10 – 12 minutes. 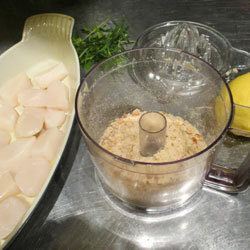 (This will vary depending upon the thickness of the scallops.) Serve with a lemon wedge. Makes four rich and generous servings. Nutritional analysis per serving: 177 calories, 19 grams protein, 8 grams carbohydrates, 7 grams fat, 560 mg. sodium, 1 gram fiber.